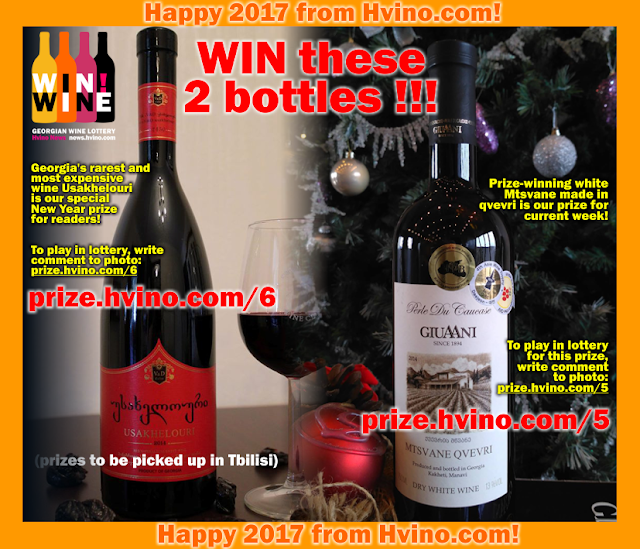 Participate in Vinitaly with Hvino, Winerist and DRINKS+! 28.01.2017 (Hvino News). We invite you to Vinitaly (Verona, Italy) on April 10 to participate in presentation & tasting event "Drinks+ Choice: Heritage Wines As New Objects on the Wine Roads of Europe”. 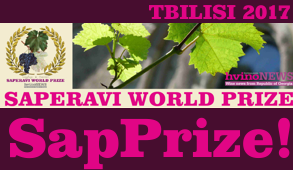 This event is joint project of D+ Communication Media Group (Kiev), Hvino.com (Tbilisi), Winerist.com (London). Leading industry experts: buyers, distributors, restaurateurs, wine critics, bloggers from Europe, America and Asia are invited to the event. Coverage of the presentation will be provided by both local and international media. All participants will be provided with tasting lists and information materials in English and/or Italian. Service of the tasting is provided by the qualified specialists of National Association of Sommeliers (Italy). Tasting provider (D+ Communication media group) is inviting attendees, with report of invitations provided to the participating producers. 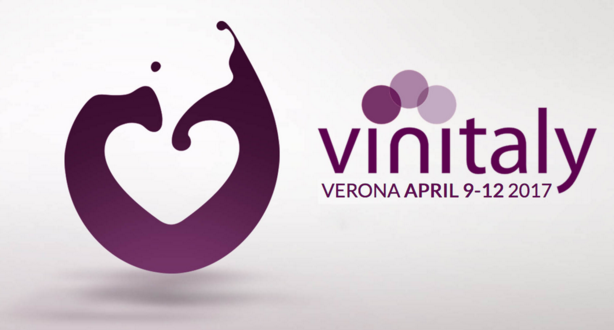 DRINKS+ is honored to provide a presentation at Vinitaly for the 4th time in a row. Participation in this kind of top level venue is a statement of the company as the global market participant, giving way to international cooperation, sales in different parts of the world, and receiving a positive assessment from international wine experts, spread through reputable global and national media, as well as official and personal social accounts. PR-publications in all D+ Communication Media Group media are included. 24.01.2017 (Hvino News). Marafoto is the name of new wine photo contest, launched on January 23 by Telavi Wine Cellar company (also known under brand name Marani) in Facebook social network. According to organizers, Marafoto is "a Facebook photo contest consisting of several levels, like in a sports event. Everyone can vote for their favorite photos by likes at bit.do/Marafoto. The winners are top photos with maximum number of likes. On next level, only photos from previous level are competing. Each level lasts for 1 week. The winner receives Grand Prix". Grand Prix seems to be a mystery prize, as it is not revealed. After just one day since launch, the Marafoto's photo album has got 11 photos. Everyone can vote for the best photos by "liking" them. To participate in Marafoto, the photograph must have a Marani product with a readable label. The contest is open to everybody - the only requirement is that participants must like Marani’s page in Facebook. To submit your photo to the Marafoto contest, just email it to marani.marafoto@gmail.com. 24.01.2017. 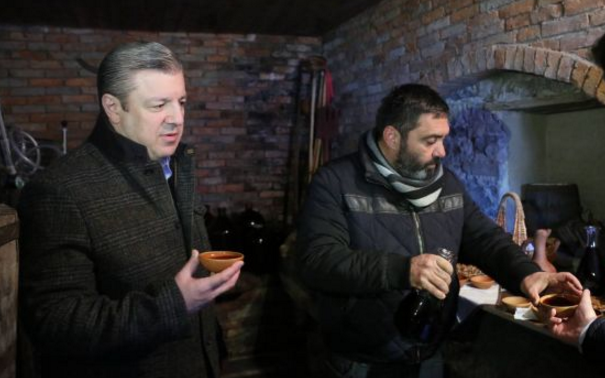 Georgian Prime Minister Giorgi Kvirikashvili visited last week the Chateau Dio family-run inn, a recipient of a 10,000 GEL grant under the Produce in Georgia program, in the village of Dzirageuli, Ambrolauri District. The inn is owned by the Dio partnership that uses said grant amount to develop a family-run winemaking business. As the founders of the partnership revealed to the Prime Minister, the received amount was spent to purchase equipment necessary to enhance the enterprise’s production output. The Dio partnership plans to export its wines in the future. The Prime Minister wished them success and pointed out the Government’s unconditional commitment to ensuring the revival of viticulture and viniculture and the development of production. 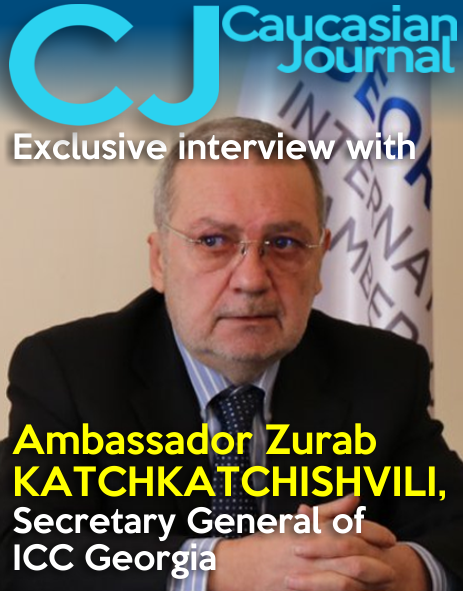 According to Giorgi Kvirikashvili, equally important is the development of small, family-run inns, especially since the Ambrolauri Airport launched on same day, which poised to increase the tourist flow and boost employment and economic development in the region. 23.01.2017. 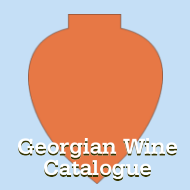 The Georgian Wine Association presented a new wine tourism guide at their head office on Friday. The new guide is the first book published in the English language in Georgia to feature over 120 wineries across all regions of the country. It has a listing of 40 wine bars and shops, nearly 200 recommended restaurants, and 200 hotels. The book has QR codes which can be scanned through the Smart Phone App to easily find out more about the selected venue. After scanning the QR code, locations appear as pinned on Google Maps. For those who have never used a QR scanning code, the guide explains how it works and how to use it. The book covers all regions in Georgia with precise and detailed information on what to see, where to stay, where to taste wine and where to dine out. 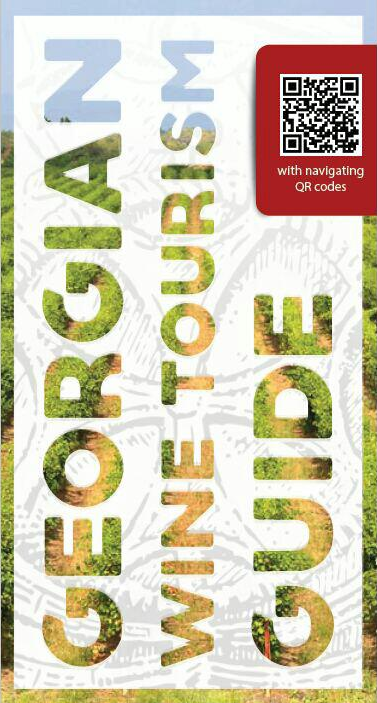 In addition to the brief history of the country, the new guide provides useful information for tourists on how to enter Georgia, and brings useful tips to help visitors get around more easily, with a list of tourism information centers also included. 16.01.2017. 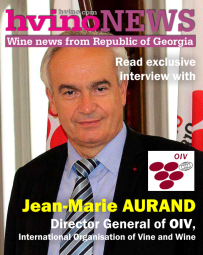 "95% of Georgian wine-making companies not only agree on the need to diversify exports, but also are directly involved in the process," - the head of the National Wine Agency Giorgi Samanishvili says. 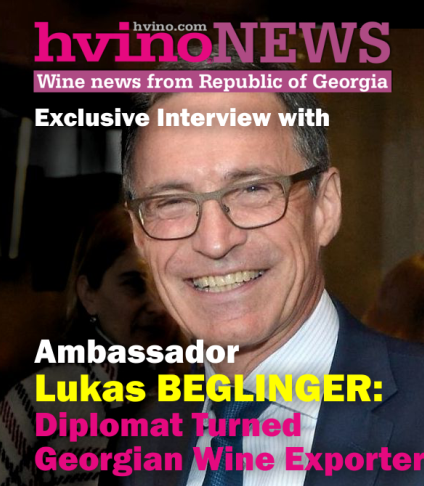 According to him, marketing activities carried out by the Agency and aimed at popularization of Georgian wine in different countries are agreed with the business community. "In general, a lot of countries in the world focus on one separate market. But in our situation we deal with economic factors and are actively working on the diversification of markets. 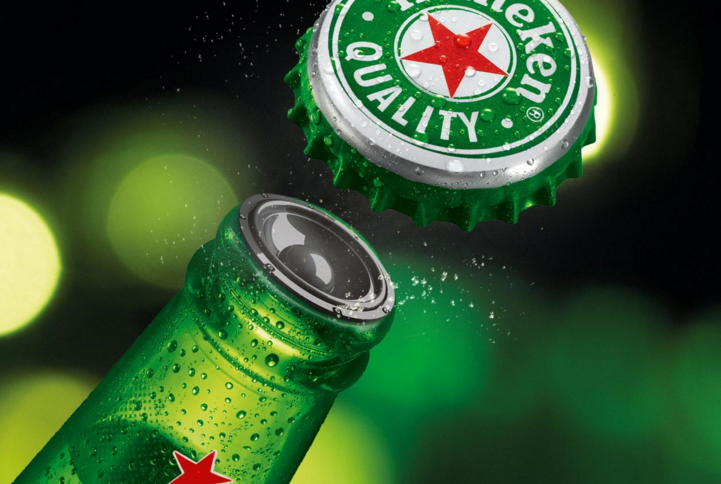 Marketing campaign is financed by the state, but the ideas are coming from the private sector. Currently in all international shows our wine is presented under the «Georgian wine» brand that facilitates the popularization of Georgian wine, "- Giorgi Samanishvili notes. In his words, marketing strategy also focuses on the development of small regional wineries. 16.01.2017 (Hvino News). 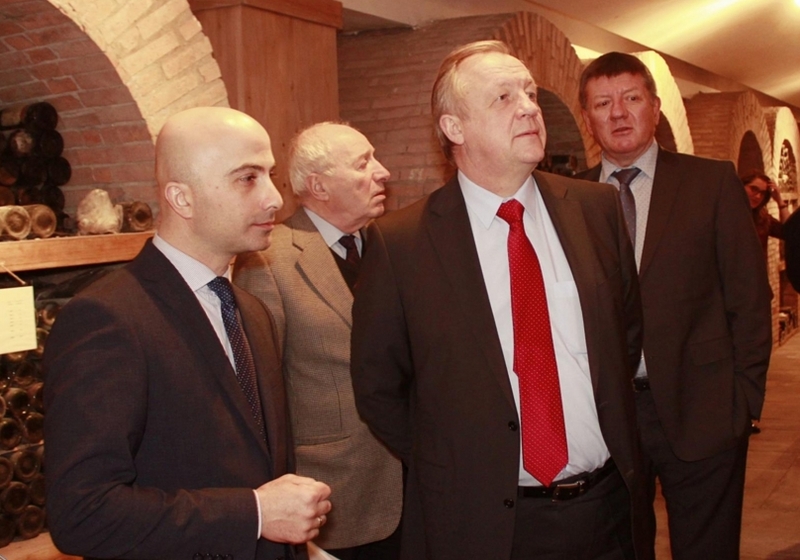 The head of National Wine Agency Giorgi Samanishvili had a meeting with the ambassador of Belarus Mikhail Miatlikov, attended also by chairman of National Intellectual Property Center Sakpatenti Nikoloz Gogiladze, and representatives of Ministry of Agriculture. The participants discussed the perspectives of increasing export of Georgian wine to Belarus and possibilities of implementing marketing events. The meeting venue was at National Museum of Wine. The meeting participants visited a marani (traditional wine cellar) and had a chance to taste Georgian wines. 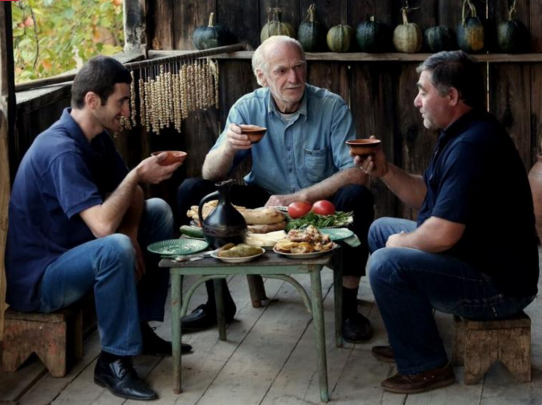 Belarus is a traditional market for Georgian wine. It occupied 6th place among the biggest importers in 2016. In 2016, 1 174 362 bottles of wine were exported to Belarus which was 30% more compared to 2015. 15.01.2017 (Hvino News). 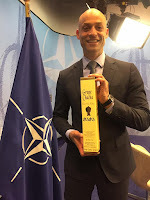 James Appathurai, NATO Deputy Assistant Secretary General for Political Affairs and Security Policy and Secretary General’s Special Representative for the Caucasus and Central Asia, was recently presented with a bottle of Georgian chacha (grappa) produced by Telavi Wine Cellar. 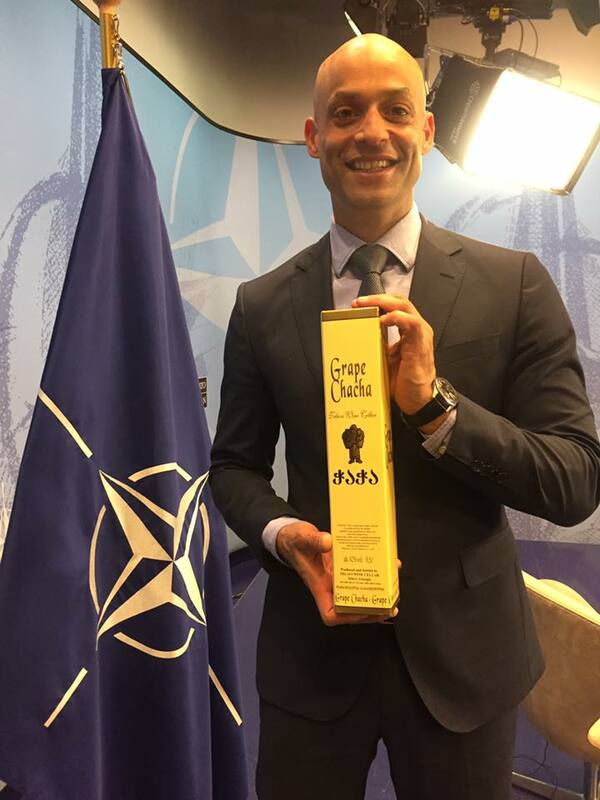 The present was given to him as a New Year present by Georgian journalist Ketevan Kardava, who met Appathurai in Brussels for an interview. 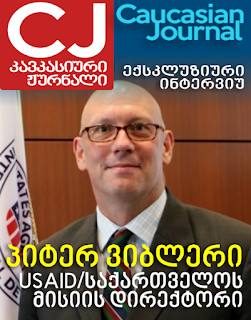 Mr. Appathurai has visited Georgia on numerous occasions and is known for his interest to Georgian culture. 15.01.2017 (Hvino News). 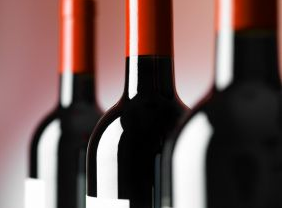 A contract for five million bottles of wine was signed on January 11 between Georgian producer Shilda and Chinese importer Shanghai Tianzifang Trading. 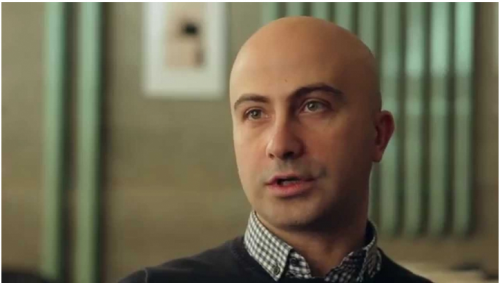 Shilda company was founded by London-based Georgian businessman and former politician Mikheil Chkartishvili and his daughter Natia. Company calls this deal as unprecedented, as it amounts to nearly the entire quantity of wine exported from Georgia to China in 2016. The company representatives noted growing interest among Chinese consumers to Georgian wine. The Georgian ambassador to the Peoples’ Republic of China Mr. David Aptsiauri and a representative of the Georgian-Chinese Friendship Association attended the signing procedure. 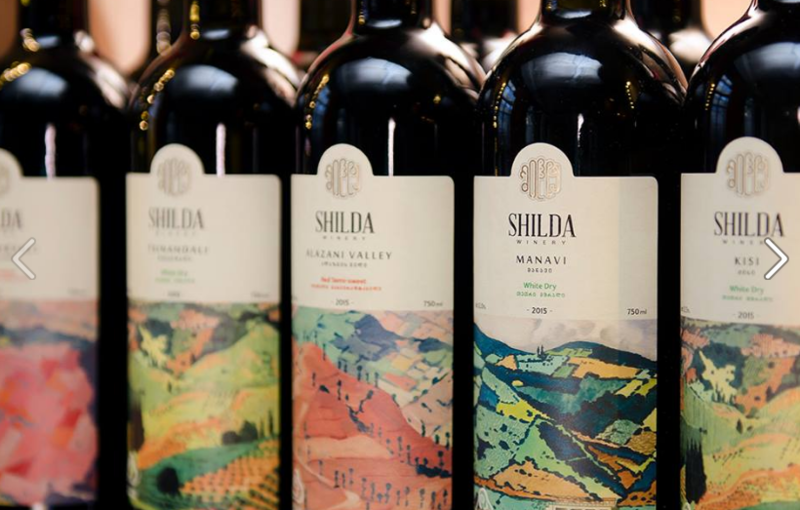 Read more about Shilda in: Natia Chkhartishvili shares Shilda's ambitious expansion plans. 04.01.2017. 50 million bottles of wine exported to 53 countries in 2015 In 2016 Georgia exported 50 million bottles of wine to the world's 53 countries. According to National Wine Agency, the figure is 38% higher than in 2015. 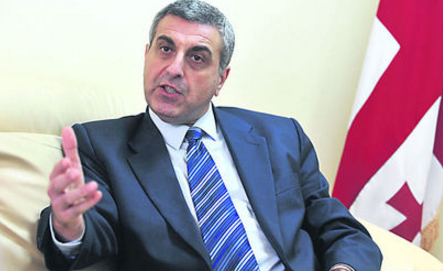 It should be noted that exports has risen to the European Union, China, the US and other traditional markets. compared to 2015, exports to China grew by 98% (5 299 149 bottles), Ukraine - 70% (5 811 050 bottles), Russia - 49% (27 222 076 bottles), Poland - 46% (2 329 820 bottles), Canada - 34% (210 936 bottles), Belarus - 30% (1 174 362), the UK - 28% (97 226), Estonia - 25% ( 631 632), Kyrgyzstan - 24% (230 776), the US - 19% (294 382), Latvia - 19% (1 258 632), Japan - 15% (159 654), Germany - 6% (292 454), the Czech Republic - 353% (119 648), etc. The top five countries that import Georgian wine are: Russia (27 222 076 bottles), Ukraine (5 811 050 bottles), China (5 299 149 bottles), Kazakhstan (3 393 435 bottles) and Poland (2 329 820 bottles).